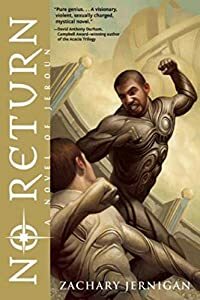 This month’s round-up of SF/F releases at SFSignal lists an almost unmanageable 420 titles—nearly twice the normal number. 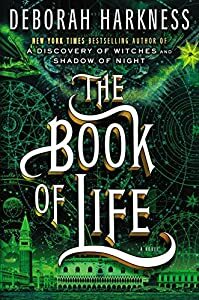 As usual, I’ve sampled all their available Amazon previews to highlight a few of interest, but given the large number of possibilities, I’ve allowed myself to list 14 titles this time. Ben Winters, World of Trouble. I’m eager to read this, the third book in the Last Policeman series, because the first two were pretty great crime novels. The premise is that astronomers can see a planet-killing asteroid headed toward Earth, so civilization is falling apart, but the main character is a police detective still trying to do his job. 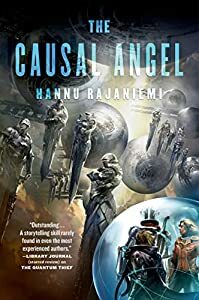 Hannu Rajaniemi, The Causal Angel. I’ve heard a lot about the Jean le Flambeur series, and based on reading some of Rajaniemi’s short stories, I expected to like it. And indeed the preview had all the shiny far future stuff I’d have guessed it would, so even though this was the third book in the series and kind of hard to follow, I was sold. 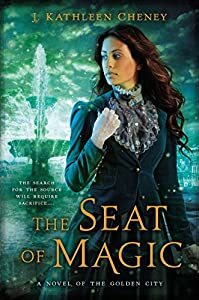 J. Kathleen Cheney, The Seat of Magic. This is the sequel to The Golden City, which I selected to comment on last fall but still haven’t gotten around to reading. Anyway, it’s an urban fantasy set in Lisbon in the early 1900s, which remains an interesting choice. The prose is solid, and the author’s blog has some nice articles about doing historical research for it. 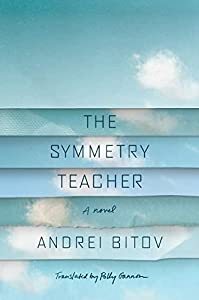 Andrei Bitov, The Symmetry Teacher. This seems to belong to the genre of playful novels that are themselves about novels/narration/writing. It’s got an absurdist/satirical feel that I’m not sure about. But I liked several images and turns of phrase in it, so I’m curious about the whole. Charles Stross, The Rhesus Chart. 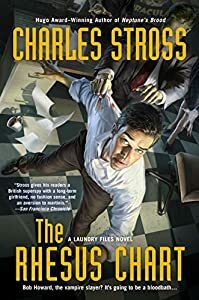 Either the preview for the fifth entry in the Laundry Files series benefits from comparison with several hundred other previews, or else I may have been too quick to judge the direction of the series based on an earlier volume, because this seemed very solid. And I’m delighted if I was wrong, because I love the idea of Lovecraftian urban fantasy. So now I’m interested in going back and completing the series from where I left off. 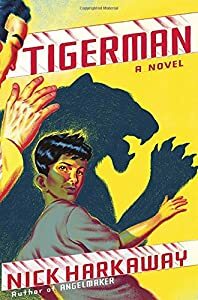 Nick Harkaway, Tigerman. Out of all the books on SFSignal’s list this month, I think this is the one I had heard the most buzz about. Supposedly, it’s sort of like what if Graham Greene had invented Batman, and in the first couple of chapters, you’re introduced to a tropical island brimming with colonial/neocolonial froofrah and strange goings-on, so I guess I can see it. There’s something about the language and focus of it that kept me from getting as involved as I’d have liked, but I appreciated the dry wit and invention, so I remain hopeful about it. 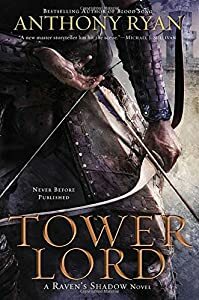 Anthony Ryan, Tower Lord. 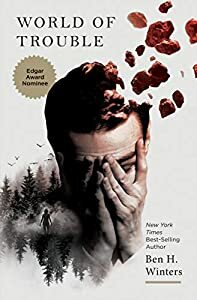 This is the sequel to Blood Song, which by number of positive reviews was one of the most successful fantasy novels of 2013, and the preview does take up an interesting point of view right from the start, even if the subject matter and occasionally the language both seem ordinary. Deborah Harkness, The Book of Life. 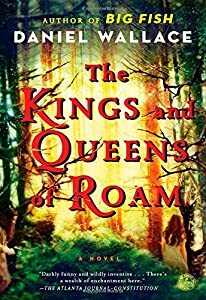 I have basically no idea what’s going on at the beginning of this, the third book in the All Soul’s Trilogy, but it only takes a few pages to be persuaded that the series features clear prose and character-driven plotting. And that’s enough, given that it’s also hugely popular and that the author is a historian who teaches at USC, for me to be sure I’ll wind up reading it, so I didn’t want to be too spoiled by the plot details. Daniel Wallace, The Kings and Queens of Roam. This seems to be a novel about a blind girl trusting in her sister’s tall tales too much. If the preview is reasonably representative, the book wears its themes pretty openly, and it straight up tells you what one of the big plot developments will be. I haven’t seen Big Fish, which many other readers mention as something that attracted them to this author, but apparently that’s a good thing, because this book may not live up to people’s expectations. But what I see in it are a lot of fun stories within stories, and that could be plenty for me. 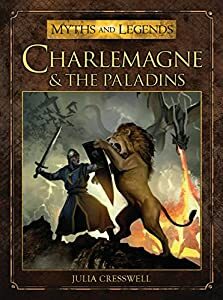 Julia Cresswell, Charlemagne and the Paladins. This seems to be a succinct introduction to the very coolest medieval king (later emperor) enshrouded in legend. I’m not sure why it’s on SFSignal’s list, unless they’re expanding to cover all sorts of non-fiction about history, myths, legends, and fairy tales, but I’m not arguing. Zachary Jernigan, No Return. This seems to be a New Weird fantasy novel about a world manipulated by an actual living god of celestial proportions and how some folks resist him. Although there’s something very unsubtle and first-time-novelist about the prose on view in the excerpt, I actually kind of liked how pulpy it was. D. J. Molles, The Remaining: Refugees. 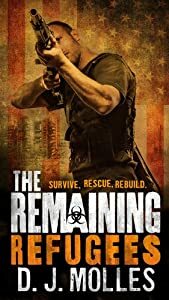 I’m really suspicious about the politics of originally-self-published post-apocalyptic survival novels, and an opening question in this one (where are the zombie-ish women?) isn’t reassuring: this could go in a terrible direction. But the clean, readable action scenes did stand out as worthy of further consideration, so I might try the first book in the series eventually. Joe Abercrombie, Half a King. 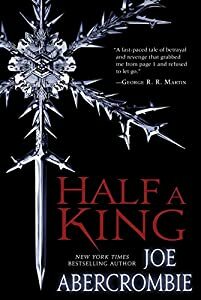 I’ve really enjoyed Joe Abercrombie’s last few novels. This is his first YA book, though, and his first book in a new setting, so it’s not an insta-buy for me. And after sampling the preview, I’m not sure it doesn’t come off as too simplistic. But it did read very quickly, and I felt some curiosity about the gods/religion of Gettland. And my trust in the author’s ability to create great characters through action over time still stands for now. So I may get around to reading this at some point. 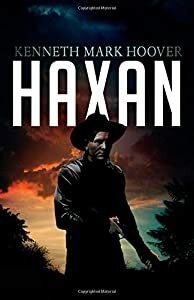 Kenneth Mark Hoover, Haxan. The preview for this only reveals it to be a western that happens to mention witchcraft. But based on the publisher and the book blurb, there must be actual fantasy elements to it. And even without any SF/F to it, it would stand out for having some pretty decent lines.